Living life on the streets goes far beyond the indignity of searching for a place to use the restroom after dark or being called “lazy” and a “criminal.” It also means not always getting access to critical health care, medications for conditions such as diabetes, arthritis, asthma, colitis or glaucoma and high blood pressure, eating healthily so those conditions aren’t exacerbated and getting treatments for colds that could become more serious aliments if left untreated. The project I plan to explore for the 2019 California Fellowship involves pursuing a three-part series on the economic, societal and health impacts of prolonged and chronic homelessness. 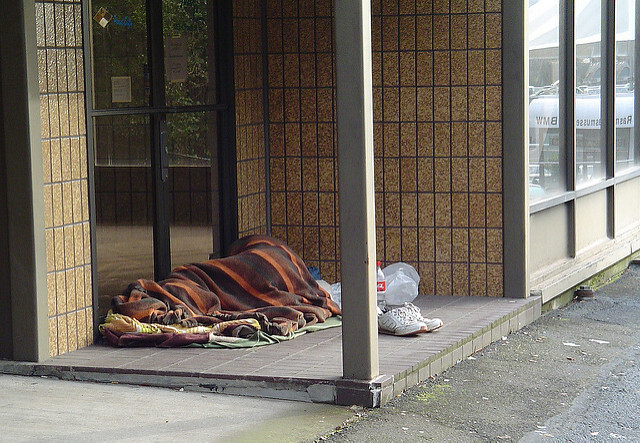 I plan to examine the health risks to the public that can occur when society and local governments neglect or underfund initiatives to alleviate conditions where homeless populations live. That neglect, lack of understanding of the health risks, or the choice not to pay for these initiatives can result in public health crises involving communicable diseases. Often, homeless people have no way to practice good hygiene regularly, which can then lead to outbreaks such as typhus and hepatitis A. We have witnessed outbreaks of hepatitis A here in Los Angeles County as well as in San Diego County last year. The public health cost of treating indigent residents as well as the public policy ramifications can be difficult for elected officials and public health workers, and I plan to explore both in depth. Last year, the Los Angeles County Board of Supervisors asked Department of Public Health Executive Director Barbara Ferrer to work with municipal health agencies in Long Beach and Pasadena to widen the scope of identifying and treating typhus, which laid the groundwork for a pilot program of prevention and response for homeless populations. Approximately 65 cases of typhus were reported in the county last year, and 47 in 2017. Public health officials are now looking at homeless encampments as critical locations for an expansion of typhus prevention outreach, since homeless population often find it challenging to access hygiene facilities. According to the Centers for Disease Control and Prevention, people become ill with murine typhus when infected fleas and feces come into contact with abrasions or cuts in the skin. Left untreated, severe illness can cause damage to one or more organs, including the liver, kidneys, heart, lungs, and brain. The Los Angeles County Board of Supervisors passed a resolution last year for a pilot program that brings mobile restrooms and hand washing stations to regions of the county where concentrations of homeless encampments are the largest. The question is how effective will these pilot programs be, and are they just temporary solutions for a much broader problem? Press accounts have chronicled the Trump administration’s repeated attempts to roll back provisions of the Affordable Care Act and how that could impact working families. With the potential for a slowdown in the economy, will health services for the poor be the first on the budget chopping block? I am also interested in exploring the disparity in the availability of health and social services in minority and low-income populations compared to more affluent neighborhoods. Recently, an ad hoc committee of the Los Angeles Housing Services Authority found black Angelenos make up 9 percent of the population but almost 40 percent of Los Angeles County’s homeless population. “The impact of institutional and structural racism in education, criminal justice, housing, employment, health care, and access to opportunities cannot be denied: homelessness is a by-product of racism in America,” states the executive summary of the report. "Only by acknowledging and naming the painful truth about how our systems and policies have created these unjust racial disparities can we do the hard work together to reverse them,” said Kelli Bernard, chair of the LAHSA Commission and vice chair of the ad hoc committee. "I’m hopeful about the impact we can make by attacking these systemic obstacles in such an intentional way, and the lives that can be changed for the better as a result." Finally, for the last several years, women are the demographic that has grown the most among the homeless, and domestic violence is often why women and children find themselves living on the street. An examination of whether domestic violence should be considered a public heath issue could open up new avenues of discussion. Naturally, one way to alleviate most if not all of the ailments and potential health risks to the homeless population and well as the public at large is to house those living on the streets. With access to restrooms and showers, that alone could significantly curb the spread of communicable diseases. In addition, living in an apartment or home provides more opportunities to cook meals that are healthier, although depending on one’s background and income, that can be problematic. The opportunity to work with scholars and experienced journalists at the 2019 California Fellowship is a real honor. Tackling these subjects and, with their help, producing a series of insightful and impactful stories, is my goal. I look forward to joining my fellow journalists at this unique fellowship.